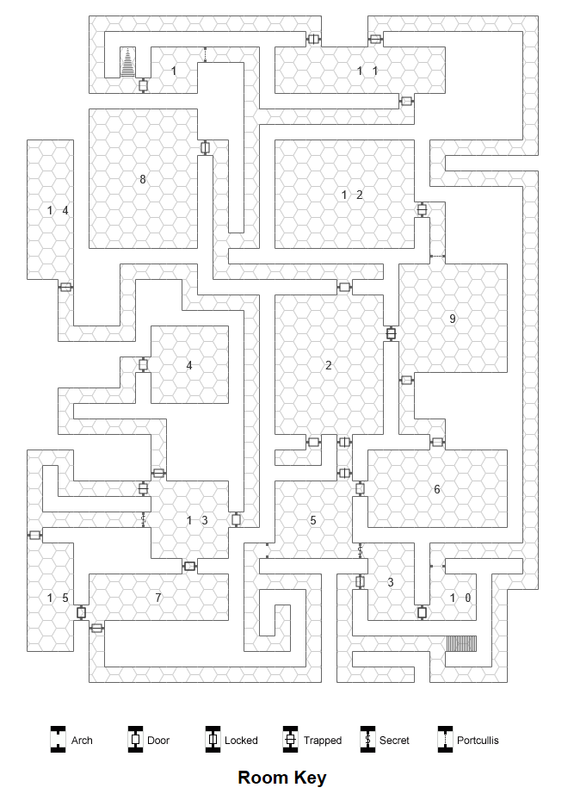 Dungeons on Automatic is a new blog written by Kyle Norton. He has recoded a random dungeon generator for GURPS Dungeon Fantasy. Find that post HERE. It uses the same generator as Donjon but he has changed the code for GURPS instead of D&D. You can download it and use it offline and it is really a lot of fun to play with! Here are some screen shots of a random result. Go check it out and have some fun! This entry was posted in GURPS, RPG and tagged GURPS, Map, Maps, Play Aids by Highland_Piper. Bookmark the permalink. Thanks for the link. It’s a joint project with Bruno from the forums. She’s the true code wizard. I’m just an apprentice. It is still a great project, and thanks for including Bruno for credit! I used the Dunjon version a few times to help me figure out how to start my battle tiles and always wished for a GURPS version. I only wish there was a way to include a range of room sizes. You know select Small to Large to add more variety. I have a heck of a time wrapping my head around the code for Inspiration Pad Pro let alone stuff like this! That’s probably possible. I’ll throw it up as an issue and we can chew on it one of these days.